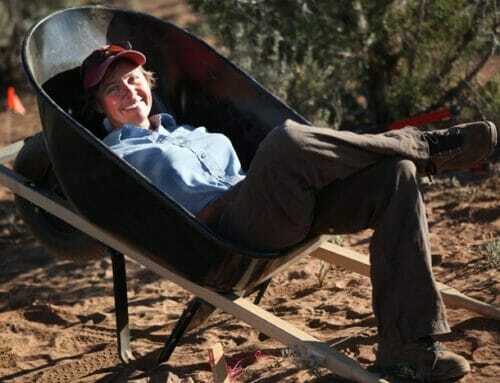 For over 20 years, Chimney Rock Interpretive Association (CRIA), a non-profit 501 (c3), and its volunteers have shared the story of the ancestral Puebloan people with thousands of visitors through tours and special programs at Chimney Rock National Monument. Historic places like Chimney Rock reflect the past while enriching our future, but without public support, CRIA would be unable to provide the interpretive program that keeps Chimney Rock’s history alive. In hopes of funding educational projects, volunteer recruitment/training, and the interpretive programs that help keep Chimney Rock National Monument a local attraction, CRIA is participating in Colorado Gives Day on Tuesday, December 4th, 2018. Colorado Gives Day is an annual statewide movement to celebrate and increase philanthropy in Colorado through online giving. Please help CRIA reach their goal of $2,000 this year on Colorado’s largest day of giving. Donations are accepted at www.swcogives.org, which features local southwest Colorado non-profits that are participating in one of the most successful events of its kind. Why Give to Chimney Rock Interpretive Association? The wildfires of 2018 were devastating to many communities across the western U.S. Due to the extreme dry conditions and threat of wildfires, parts of the San Juan National Forest were closed for 10 days, including Chimney Rock. This protected our beloved Monument but also resulted in a deficit to CRIA’s operating budget. The smoke from fires continued June-August which resulted in fewer visitors to the area and the Monument. CRIA must recruit new volunteers each year to meet increased demand in visitation and to replace volunteers who leave the area or can no longer volunteer. There are significant costs involved in recruiting, training, and retaining volunteers annually. While there are paid staff members, it’s the volunteers who interpret and maintain the site and do most of the tasks that make the program work. Without them there would be no Chimney Rock Interpretive Association at the Monument, which brings an additional $1.7 million dollars to a region which is heavily dependent upon tourism dollars. Life at Chimney Rock free two-day festival, Dances of the Ancients, and Native American Stories at Sunset are annual family friendly events at the Monument that connect visitors to the descendants of ancient Puebloans in an intimate, celebratory, and interactive way. CRIA needs your support to keep free and culturally significant programs like these alive. Three times each month, visitors can either watch the full moon rise from the high mesa top while listening to the soothing sounds of Charles Martinez’flute, or take a closer look at the wonders of the night sky through telescopes from the best vantage point in the four corners. Your support is needed to continue to bring in speakers qualified in both astronomy and archaeoastronomy and to purchase additional telescopes to accommodate the increase in visitation. These are some of the reasons why is it important that the greater community support CRIA with donations. 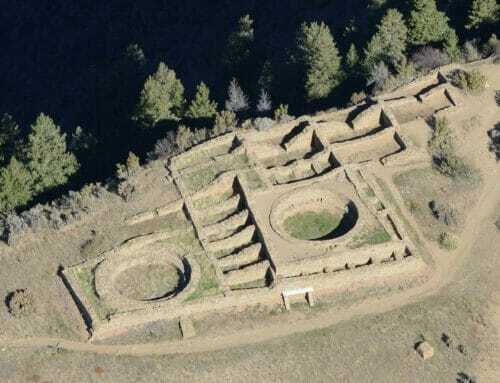 Give where you live and consider supporting Chimney Rock Interpretive Association and other local Archuleta County non-profits participating in Colorado Gives Day by going to www.swcogives.org. Gifts can be scheduled now for December 4th. 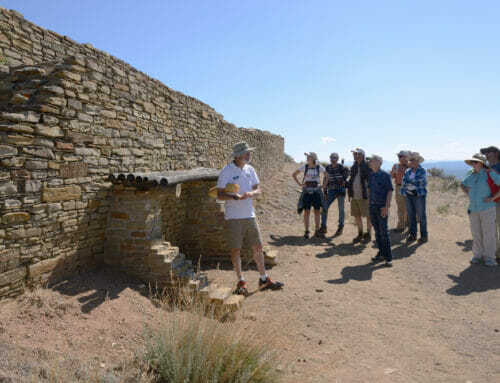 For more information about CRIA and Chimney Rock National Monument, please go to www.chimneyrockco.org. CRIA thanks you for your continued support!